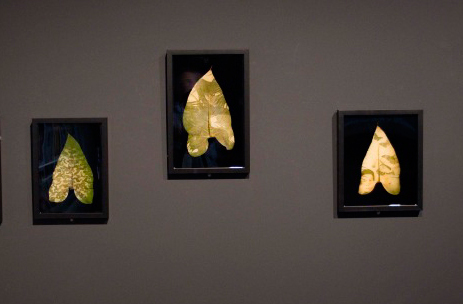 The Sydney Biennale is showing a series by the artist Binh Danh, chlorophyll prints made on leaves from Vietnam. 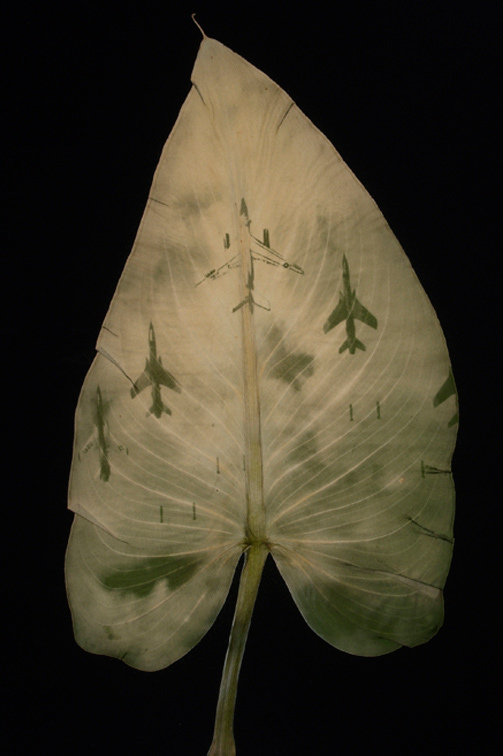 Photographs from the Vietnam War were placed on tropical leaves and left in the sun, which creates an image on the leaf through photosynthesis. Later the leaves are cast in resin, like scientific specimens. I was raised in a traditional Vietnamese household, where many of the family’s Buddhist rituals focussed on the worship of ancestors, thus meditating on death and its influence on the living. The themes of mortality, memory and spirituality became a lifelong inspiration.